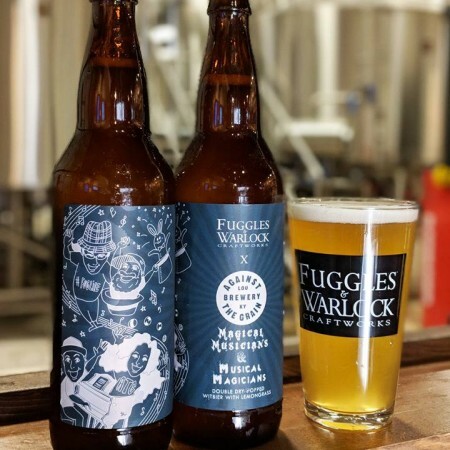 RICHMOND, BC – Bring Your Porter to the Slaughter reports that Fuggles & Warlock Craftworks has released a new beer brewed in collaboration with Against the Grain Brewery of Louisville, Kentucky. Double Dry-Hopped Witbier with Lemongrass! Featuring Citra and Amarillo hops for a hoppy, citric and zesty hop creaminess and a hint of lemongrass citrus. It’s like a witbier meets a white IPA! Magical Musicians & Musical Magicians is available now at Fuggles & Warlock and select private liquor stores in British Columbia.